About 6 months ago, we reported on a landmark ruling against Monsanto in a case claiming that their pesticides cause cancer. Bayer AG, who acquired Monsanto in June of 2018, is now facing lawsuits from over 11,000 plaintiffs, all of whom are claiming that the products Roundup and Ranger Pro are harmful to our health. The focus of these claims is glyphosate, the primary ingredient in both products. Lawyers representing these plaintiffs have claimed that the pesticides cause cancer and attack healthy gut bacteria. According to Reuters, they’ve also made allegations that the company attempted to influence regulators and manipulate public opinion regarding the safety of their products. Today, we’re going to look at the dangers of glyphosate, the current legal battles faced by Bayer, and the extent to which these pesticides have permeated our food and water supplies. For thousands of years, farmers have been seeking better ways to grow food. Agricultural breakthroughs have included irrigation, the moldboard plow, and the combine harvester. Another major advancement was the introduction of pesticides, which protect crops from weeds and other growth that might otherwise decimate the harvest. Glyphosate is a molecule patented by Monsanto in the early 1970s, and the primary active ingredient in their flagship herbicide Roundup. In 1974, Roundup was introduced to consumers, and has since become one of the most widely used broad-spectrum herbicides in the world. Since its introduction in 1974, over 9 million tons of Roundup have been sprayed on fields worldwide. Glyphosate is an antimicrobial that destroys organisms without bias. In fact, Monsanto now sells “Roundup-ready” seeds that have been genetically engineered to be resistant to glyphosate. The chemical kills everything except for these seeds. And while that’s great for generating a high yield for farmers, it is detrimental to our health. Studies have also theorized that celiac disease and other forms of gluten intolerance may the result of glyphosate poisoning, rather than an allergic reaction to gluten. Patients with celiac disease also have a higher risk factor for non-Hodgkin’s lymphoma. This detrimental form of cancer has also been linked to cancer. 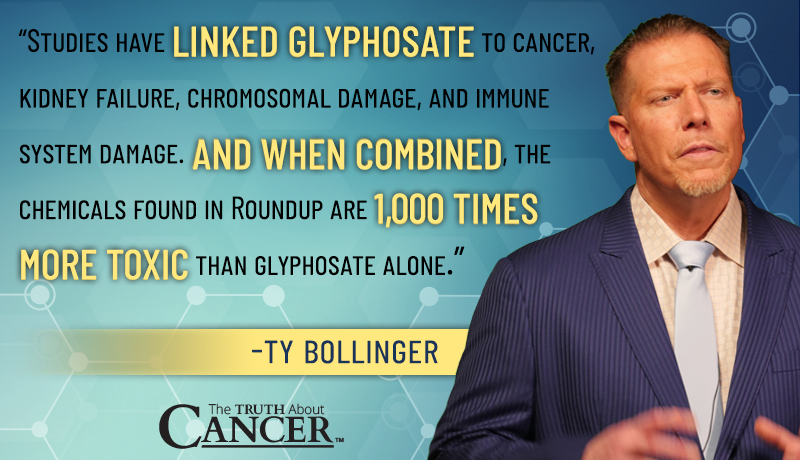 And while studies have continued to show that glyphosate is carcinogenic and can lead to a plethora of health problems, Monsanto has continued to insist that their product is completely safe and does not cause cancer. They’ve sponsored their own studies and lobbied the FDA and EPA to ensure that no one who became ill could blame glyphosate. Johnson was a groundskeeper who worked regularly with both Roundup and Ranger Pro. Despite having excellent health when he began the job in 2012, he was diagnosed with non-Hodgkin’s lymphoma just 2 years later after an accident exposed his skin to the chemicals. Johnson’s case was fast-tracked to trial due to the severity of his illness. According to a deposition from his doctor, by January 2019 his body was 80% covered in lesions. Court records showed that Monsanto employees had discussions about “ghostwriting” scientific studies showing that their products are safe, as well as plans to discredit the IARC. To be clear, the company wants to write their own safety studies and then publish them under another name to be used as evidence of their product’s safety. They know that glyphosate causes cancer – that it’s killing people – and are willing to do whatever it takes to continue selling it. This is what evil looks like. In an interview with Time, he shared that, due to the appeals being filed by Monsanto, he’ll likely never see the award money. He currently lives on his social security and is “basically broke.” Our hearts break for Mr. Johnson, but we believe that his tragedy has opened the door for thousands more to receive justice – and that tens of millions might be saved from future injury. You see, this case has opened the door for many more to seek justice. And as verdicts are read and evidence is presented, the ability of Bayer to claim ignorance is diminished. As of 4 days ago, the second trial is underway. 70-year-old Edwin Hardeman is suing Monsanto after being diagnosed with non-Hodgkin’s lymphoma. He used Roundup products on his 56-acre property for nearly 30 years before his diagnosis. Monsanto is sticking to their story that glyphosate is safe, but Hardeman’s attorney, Brent Wisner, sees it differently. “There is a mountain of evidence,” he says. 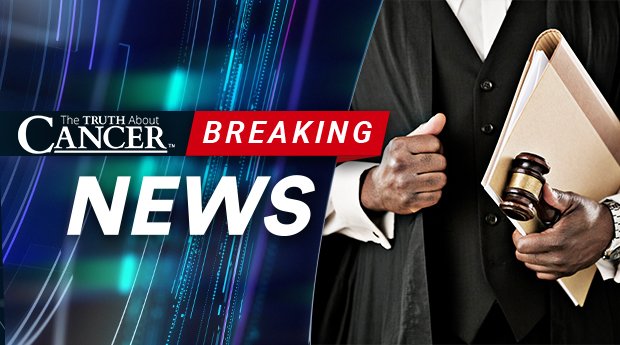 Hardeman’s case has been deemed a “bellwether trial,” meaning his case will be part of a sampling of cases that could be used to try future cases. If Hardeman wins his case, it could open the door for thousands of other plaintiffs to receive justice. Monsanto, having suffered defeats in the first few trials, would likely end up giving generous settlements to other plaintiffs rather than trying each case. One setback is that the judge has decided not to allow evidence of internal communications regarding Monsanto’s attempts to influence regulators and manipulate public perception. The trial will be broken into two phases: If the plaintiff can show that glyphosate indeed caused his cancer, he will then be allowed to present evidence that Monsanto maliciously attempted to hide that fact, which would help determine punitive damages. The reach and impact of glyphosate is massive and global. Glyphosate strips plants and soil of nutrients, and in the past 40 years, tens of millions of acres have been saturated and destroyed by glyphosate and Roundup. Since its introduction in 1974, over 9 million tons of Roundup have been sprayed on fields worldwide. U.S. Geological Survey data shows that glyphosate is present in more than half of all surface waters, soil, and sediment. Aminomethylphosphonic acid (AMPA), its degradation product, is even more commonly detected, showing up in more than 80% of wastewater samples collected at municipal treatment plants. Monsanto itself admits that some glyphosate remains on and in food crops like canola, cotton, and corn, meaning we’re consuming unknown amounts of glyphosate regularly. Everything from endocrine disruption and obesity to diabetes and heart disease – and, of course, cancer – has a scientific tie-in to glyphosate exposure. Studies have linked glyphosate to cancer, kidney failure, chromosomal damage, and immune system damage. And when combined, the chemicals found in Roundup are 1,000 times more toxic than glyphosate alone. And now, new studies are showing just how prevalent glyphosate is. According to a study published this month by the U.S. Public Interest Research Group (US PIRG), as much as 90% of the beer and wine sold, including organic brands. The study tested major brands that included Coors, Sutter Home, and Budweiser. According to the UK news outlet Independent, “Bayer has not commented on the results of the study, but the researchers are calling for glyphosate to be banned unless it can be proven safe.” For now, it seems that completely avoiding this harmful chemical may be impossible. But even these labels don’t guarantee that your products are totally free of glyphosate. 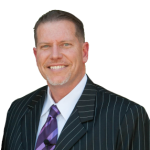 It’s imperative that you adopt a regular detoxification program that works for you. Our bodies are designed to protect us from harmful toxins, and there are several ways to kick start your body’s natural detoxification system. Finally, be vocal with your local representatives. Demand better safety and research standards, and that glyphosate be banned immediately. Bayer is a massive company worth billions of dollars, but we are strong when we stand together. Make your voice heard. We’ll continue to keep you updated with everything you need to know as this story continues to unfold. Toxic buildup is the root cause of many diseases. Click here to discover how easy it is to detox for health and vitality. Glyphosate, pathways to modern diseases II: Celiac sprue and gluten intolerance. The weed-killing chemical in a Monsanto lawsuit was found in beer and wine. Here's how worried you should be. You mentioned in your article “It’s imperative that you adopt a regular detoxification program that works for you.” Can you point me to where I can find specifics about a regular detoxification program. It would be best if you reached out to a natural health doctor/expert who can better guide you create a plan based on your specific body type. The best advice we can give you is to consult with one of the doctors we interviewed in the Global series. I’m so sorry to hear about your health – I’ll be sure to pray for you. Has anyone started a petition on change.org? Let the world know, especially younger people. I use Roundup. I shove my hand in the bucket and give it a stir. No bad effects so far. We are all going to die of something so why worry? Has the maker of some other spray started this kafuffle? Why are you even here reading this if you are one of the ignorant masses who refute obvious proof what humans are doing to destroy our planet and health? I’m sorry but how is it you could imagine this chemical which can kill insects instantly wouldn’t have some harmful effect on humans. Essentially we are animals too. Have you seen the hazmat suits that Monsanto workers wore when spraying glycophate? Cancer evolves over time. I’ll pray for you to outgrown your foolish believe in it’s safety. Wow seriously? I am amazed by how naive you are. “I’m fine, so everyone else must be” is one of the more ridiculous things a person can say as “proof” that everything is fine. Did you even read the article? Its people like you who have furthered the agenda of companies whose profit is resting on their ability to lie and kill people to make their money. I live in an agriculture area. ALL of our friends involved in farming, crop dusting, etc have died from cancer even though they did not drink or smoke. Keep hand stirring that Roundup. This must have been absolutely heartbreaking. You can contact us at support@thetruthaboutcancer.com at any time. Is there any podcast-replay of “Episode 2: Taiwan” anywhere. We were able to watch 1 & 3 but missed 2. Blessings for wonderful job you’re doing! We’re sorry to hear that you missed Episode 2. We do have the documentary available for purchase if you want to have a copy to watch anytime. The episodes will be available on your member’s page after they air, so you will be able to watch the episodes you missed through your digital access when you have purchased the documentary. All of the recordings of this documentary are currently available at over 40% off for all of our friends and fans who would like to support our mission. I understand that missing episodes can be frustrating. I suggest that you watch out for emails from TTAC as we may have suggestions or solutions to address this issue of customers like you, who missed the airing of certain episodes, in the coming days. Hope this helps! Blessings and love!